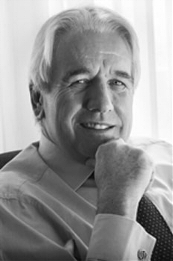 Tom Raftery is the founder and director of a Human Capital Consultancy based in Dubai. Tom has over 30 year international HR experience in senior line roles with British Aerospace, Sedgwick Forbes, Arc International and the Nazer Group. In addition he has extensive consulting experience working for Towers Watson, Arthur Andersen and MEIRC. He has lived and worked in the Middle East for over 15 years and worked across Europe, Africa, Asia and the Middle East. His consulting work in the region includes companies such as Adnoc, Zadco, Gasco, Borouge, QGPC, HSBC, Arab Banking Corporation and Precision Group. Tom has a degree in Industrial Sociology, an MBA from Warwick University and is a member of the Chartered Institute of Personnel and Development. He has presented at various conferences in Europe and the Middle East and has run a number of training programmes and as such is an engaging facilitator and trainer. He is a CIPD certified trainer. Tom likes to make sure that humour is not far away from his work, he also enjoys cooking, which he has just got into, travelling, walking, keeping fit and he has just started rowing on the Creek.